Gordon Tullock’s “Welfare Costs of Tariffs, Monopolies, and Theft” is by now widely regarded to be a classic work in public choice. However, like many “classic papers,” it was not always so highly regarded. It was rejected at several journals before finding its way to print and arguably took two or three decades to be fully appreciated. 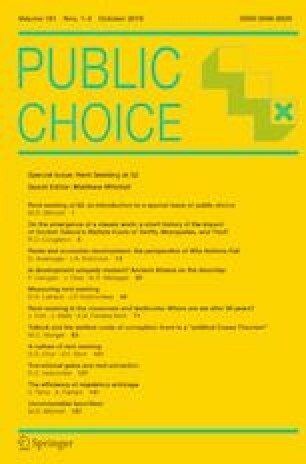 This paper discusses developments in the public choice and rent seeking literatures that helped bring Tullock’s paper to its status as a classic work in political economy.